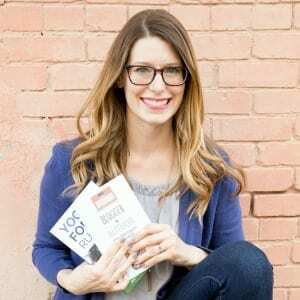 In Episode 6 of the Blogger to Author Podcast, Angela J. Ford shares her tips to help you create an epic book launch for your next book, as well as some great tips to help fiction authors get their books out into the world. I just know you’re going to love this episode! I think you’ll really love learning about Angela and her story. She actually wrote her first FIVE novels when she was a teenager, which is amazing to me. She started out working a “normal” 9-to-5 job, but felt pulled back to writing. She then used her expertise from launching her first book, The Five Warriors, to start helping other authors launch their books. She now coaches other authors and helps them have an amazing launch. Need help having a truly epic book launch? Check out the @bloggertoauthor podcast with guest @aford21! You definitely don’t want to miss out on Angela’s free guide, “How to Plan an Epic Book Launch in 6 Steps.” This eBook will help you plan out your book launch timeline, help you plan out your marketing strategies, and will give you some great resources to help you have your most epic book launch ever. Click here to learn how you can plan your epic book launch! Angela’s next book in the Four Worlds Series, The Blended Ones, launches next Thursday! I’ve read some excerpts from The Blended Ones and I think you’re really going to love it, especially if you’re a fan of the fantasy genre. I was immediately sucked in to the story, and I think you will be, too! You can pre-order The Blended Ones on Amazon, and you can also buy Book 1 in the Four Worlds Series, The Five Warriors, on Amazon as well.